Please contact me by clicking here to get to get your name on the list. 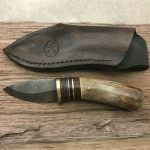 Below you see a slide show of a few of my recently completed knives. I have to say I have never handled such a beautiful and quality blade before! It feels absolutely amazing! I feel like it should simply be displayed with how beautiful it looks. This is what it must have felt like for a samurai to receive a quality blade. Thank you so much! I've used my gut hook knife from CJKnives many, many times and it's still as razor sharp as it was the day I got it. I absolutely love it! I've used it skinning deer multiple times and helping buddies skin and field dress theirs and I would highly recommend one of these knives! Very well made and very durable! This blade is great and cuts like a machine. I've used it multiple times for fire prep - cutting paper, cardboard, splitting and batoning through seasoned firewood and I've also used it for cutting up leather. Splitting fatwood matches, cutting jute twine, paracord and more paper - It's still going strong without sharpening and it's still shaving sharp! I purchased a custom handmade knife from CJ Knives and it has exceeded everything I could have imagined. It's obvious by the quality of the knife, that he puts a lot of time and passion into his knives and I will definitely be a repeat customer! The Kephart knife was named after the knife carried by outdoorsman and author, Horace Kephart. Kephart was most well known for his two books: Camping and Woodcraft and Our Southern Highlands. He’s a legend in the Smoky Mountain region and was instrumental in the creation of the Great Smoky Mountain National Park. Kephart knives make for very good camping, outdoors, bushcraft knives. 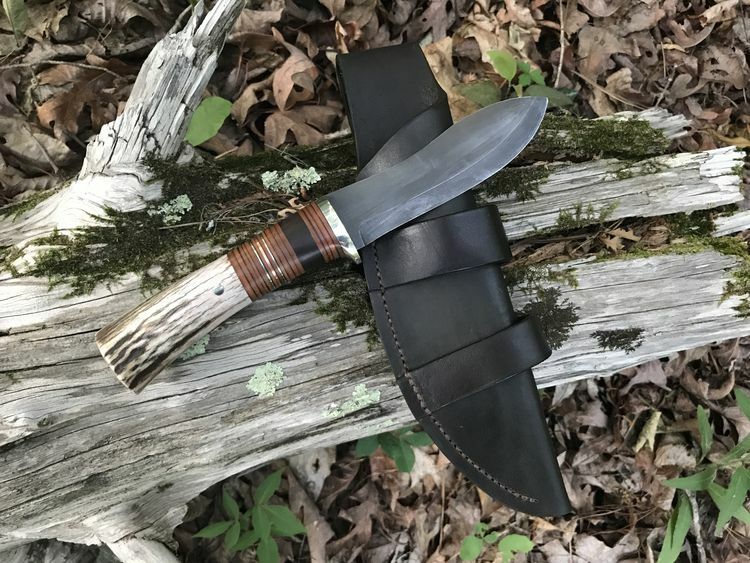 Drop point is a style of knife blade where the spine “drops” or slopes in an arc downward from the handle of the knife to the tip of the blade. This brings the tip closer to being aligned with the center axis of the knife to allow better balance. The arc toward the tip is what distinguishes it from the clip point. 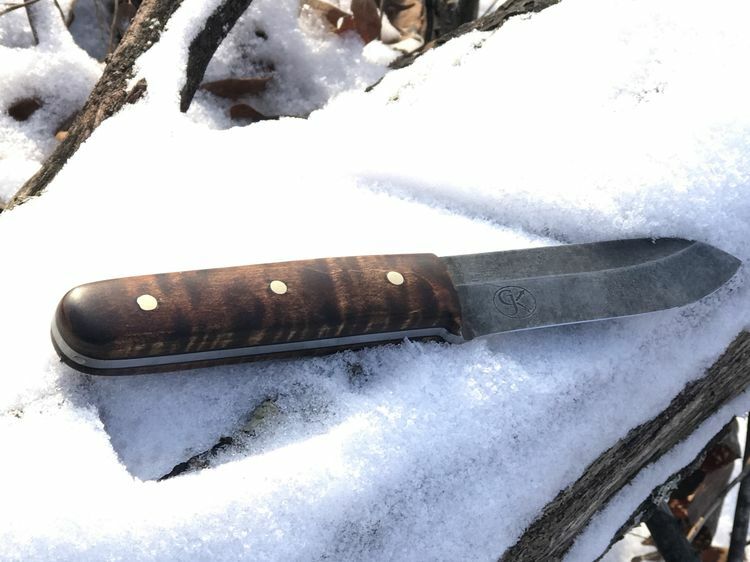 The drop point has been a common and popular design for hunting, camping and general outdoor purposes for many, many years. 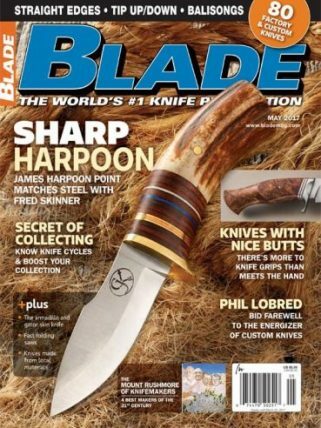 In fact, the drop point probably makes up the majority of general hunting, fishing and outdoor knives. It is a classic and always popular design that has been in use for many years. The Nessmuk knife was named after George Washington Sears (who was known by the pen name of Nessmuk after a Native American childhood friend). He was a writer for Forest and Stream magazine (later merged with Field and Stream) in the 1880’s. He was a small man and was, therefore, very conscientious about the amount of gear he carried. He is sometimes known as the father of ultralight camping. He typically carried what has become known as the “Nessmuk Trio” – a double-bit axe, a moose pattern folding knife, and his fixed blade. 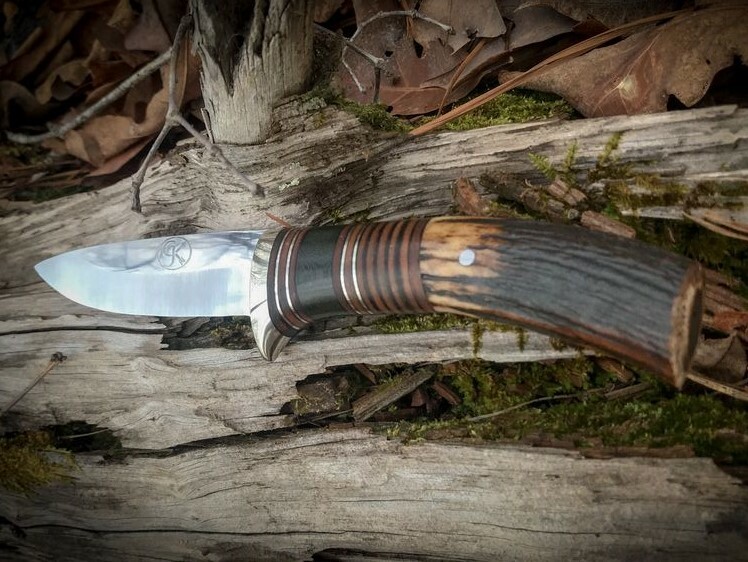 No one knows what happened to his original knife and, outside of a drawing in his book Woodcraft and Camping, very little is known about the original knife. The size of the knife is thought to have been medium in size, but actual size, type grind, etc. is really unknown. My custom knives are unique and one-of-a-kind. The majority of the knives I make are made to order, but do occasionally have some available that were not pre-ordered. Please check my store to see what is currently available.